Oscar Isaac stars in "The Promise," which opens April 21. Dr. Eric Esrailian can now make a glamorous addition to his CV: movie producer. 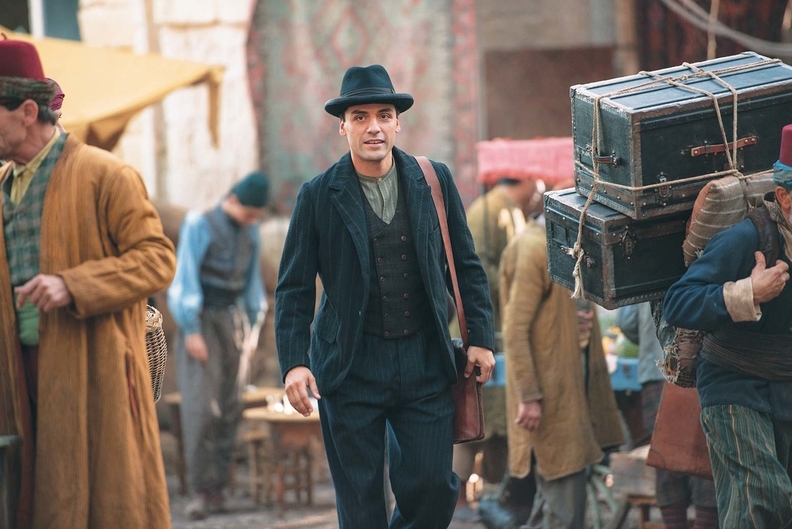 The UCLA gastroenterologist played a major role in bring to the screen the “The Promise,” a historical drama about the Armenian genocide starring Christian Bale and Oscar Isaac. The film centers on the horror that struck the Armenian people in 1915, when an estimated 1.5 million were exterminated in a wave of nationalism that swept through the Ottoman Empire during World War I. The Armenian Christians were thought to be aligned with the enemy Russians. To this day, Turkey denies the genocide occurred. Armenian-American business mogul and friend of Esrailian Kirk Kerkorian first conceived of the project in 2010, but it didn't acquired real momentum until 2012 when Kerkorian set up Survival Pictures. When he passed away in 2015, the torch fell to Esrailian to ensure the project's survival, a task he did not take lightly. The film premiered last September at the Toronto International Film Festival, and will be widely released in the U.S. on April 21.